Powerspark Electronic Ignition kit for Lucas 25D. SKU: K2 & R1 - Powerspark Negative Earth Electronic Ignition Kit to suit Lucas 25D Distributor. A Powerspark Electronic Ignition Kit is everything you need to convert your car to electronic ignition. This bundle is our much talked about Powerspark  electronic ignition kit and Lucas Gold sports coil with the addition of the Powermax® red rotor. 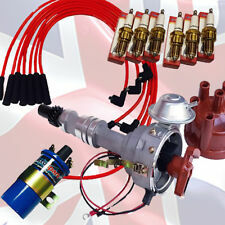 This fantastic bundle deal is completed with a Genuine DLB105 Lucas Sports ignition coil. Lucas DM2 Electronic Conversion Ignition Kit. Lucas Later DM2 with one fixing screw. Austin 1949-1952. POWERSPARK  electronic ignition kit. POWERSPARK Electronic ignition kit. The Powerspark kit and red rotor arm are now available in one order and together they are a superb pairing giving increased durability and performance for longer, for negative earth only. 25D POWERSPARK™ Electronic Ignition Kit & Coil. 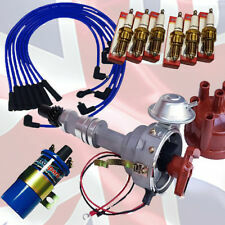 POWERSPARK ™ 25D electronic ignition kit and matching ignition coil. POWERSPARK ™ electronic ignition kit. 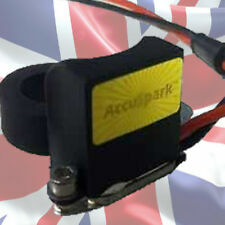 POWERSPARK ™ ignition coil. 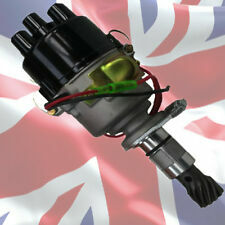 Suitable For: Austin and all vehicles fitted with the Lucas 25D or 23D. Lucas DM2 Electronic Conversion Ignition Kit. Lucas Later DM2 with one fixing screw. Standard 10 - 1956 - 1957. POWERSPARK  electronic ignition kit. POWERSPARK Electronic ignition kit. The Powerspark kit and red rotor arm are now available in one order and together they are a superb pairing giving increased durability and performance for longer, for negative earth only.